Reveals are the timber liners on the inside of the window. They bridge the width of the plaster, studs, cavity of the wall, and the cladding system being used. Generally a timber architrave is fixed to the inside edge of the reveal, although a modern finish often has no architraves but a "square set" to give a continuous plaster line back to the window frame. 135mm for brick veneer with plaster (10mm) stud (90mm) and a brick cavity (40mm). 100mm for colourbond and weatherboard cladding. Plaster (10mm), Studs (90mm) Cladding (20mm). Other size is available as required. 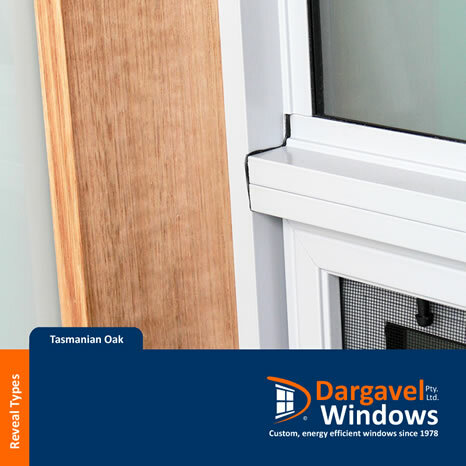 Tasmanian Oak is used where a varnished finish is needed. We source all our Tas Oak from a local saw mill. 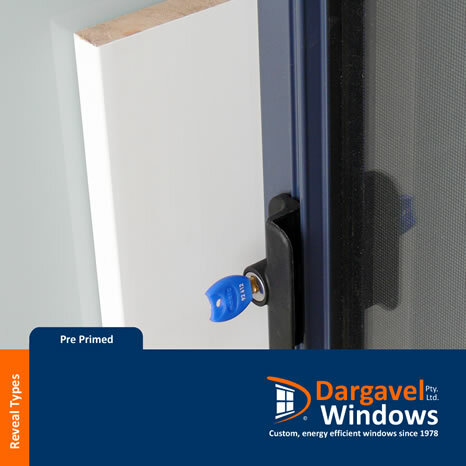 It comes with a coat of clear sanding sealer to protect the timber from the elements during construction and is available up to a width of 285mm. A finger jointed meranti is used where a paint finish is needed. It comes with a heavy base coat on all 4 edges of the timber. A light sand with fine sand paper before painting will give an excellent smooth finish and is available up to a width of 165mm. 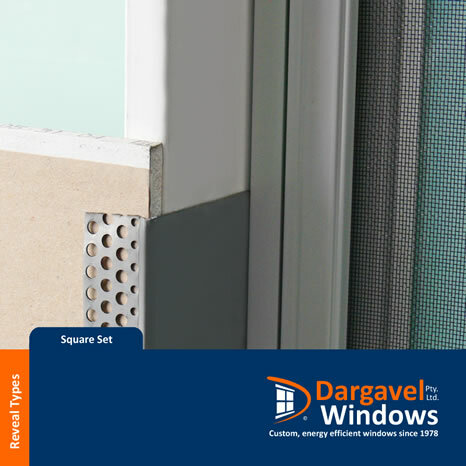 A square set finish is where no architraves are used. This gives the appearance of the plaster wrapping around the studs and finishing against the window frame. To achieve this look we leave a 1.5mm gap between the window and reveal. After installing in the building your plasterer will fit a metal angle over the timber lining sliding it into the gap around the frame edge, glueing it to the reveal face and fixing it to the plaster sheeting. This is then trowled up and sanded back ready for painting giving a hard wear resistant surface. Please note that we do not supply or fix the metal angle. You need to get your plasterer to supply and install them. We can also supply other timber species. Clear pine is available up to 290mm width. Other timbers can be used but are subject to availability at that time. It should also be noted that in some situations you may not need timber reveals, especially in outside areas like porch's, windbreaks or in single skin brickwork.